I thought I'd change tack and take a look at a cheese that is readily available and can even be found in most supermarkets. 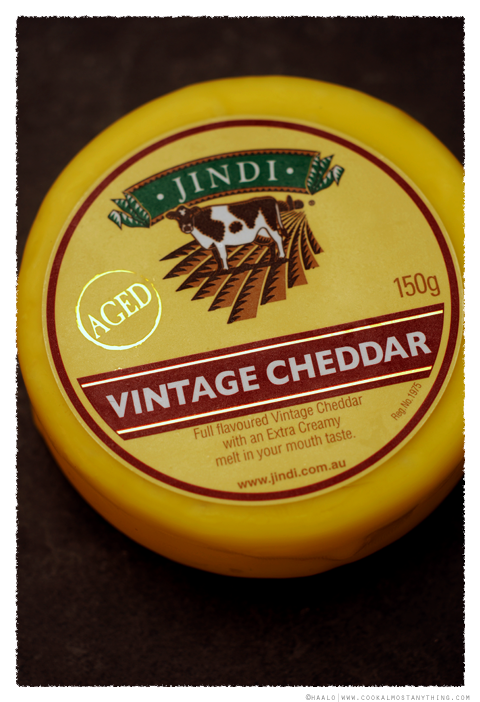 Jindi is known for its white mould cheese, in particular its highly awarded Triple Cream but for this post, I'm serving up some of their Vintage Cheddar. It's sold in these yellow wax coated rounds that weigh 150 grams - a good size for the cheeseboard. It is a vintage cheddar and has been aged for 18 months. 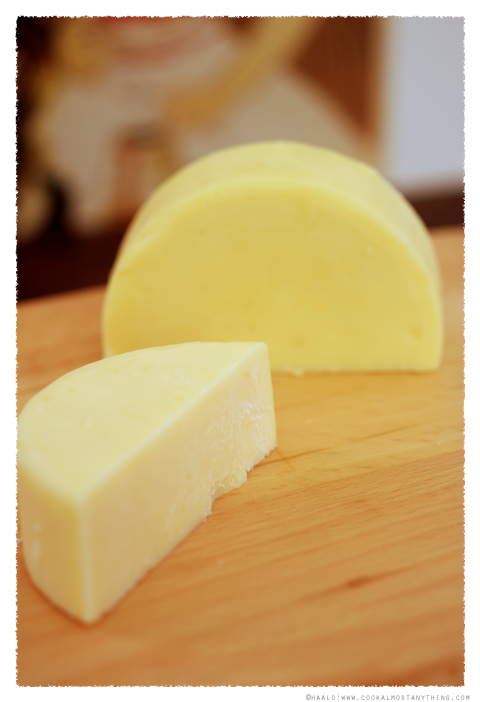 It's quite a dense cheese with a smooth appearance and cuts easily without crumbling. While it may look less than inspiring, it ticks all the boxes with taste. Full flavoured, sharp and bitey, coupled with that intensely creamy mouth-feel we've become accustomed to with their white mould cheese. A very impressive cheese that will please everyone and best of all, it is extremely well priced. haalo, jindi triple cream is one of my all-time favourite indulgences... Now to venture to their cheddar! I love cheddar cheese, the sharper the better!